A rich pin is a pin from one of three categories that offers not only dynamically generated content in addition to the material of the original pin, but gives users ways to act directly on a pin. Currently rich pins are confined to products, movies, and recipes, but there is definitely room for expansion! Otherwise a rich pin is simply a pic with a little extra pizazz. How do rich pins add to the Pinterest experience? Rich pins are the first step towards solving the problem of actionable pins. Previously there was no way for a brand to have a truly actionable pin. When a user finds something they like on Pinterest, they may like it or pin it to a board of their own…or they might want to make a purchase based on that pin. But in order to make a purchase they would need to follow the pin back to the source it was pinned from, and that might not be the place they need to be to buy. Each step the user has to take, and each click they have to make to reach their intended purchase is one more reason to give up. This eliminates the potential profit for businesses with great products and services that people may never get to buy because of obstacles like an obscure and winding trail back to the brand’s online shop. Rich pins cut this issue off before it has a chance to get started by offering information that can help users make a decision with fewer obstacles. 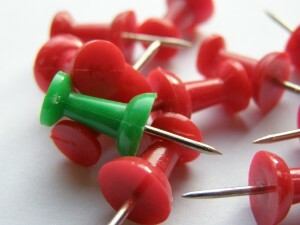 How can rich pins help you brand? Brands that offer their prospective customers a way to purchase their products or services online can definitely benefit from rich pins as they are very actionable. A user lands on a pin they like, and if it is a rich pin they are provided with prices, locations to buy, and any other provided (and relevant) information about the item they wish to buy. Rich pins also offer brands a bit of a leg up in that a rich pin includes the branding of the producer / manufacturer / seller of the item. The logo is small to be sure, but at least it’s visible! This can make a big difference when it comes to branding pins, something that is difficult to do regardless of the nature of the pin. How can your brand get involved? Your brand can apply to be eligible for rich pinning. Pinterest tells you how to get started with the process here on their blog and recommends that if you are not very technical to have your web developer standing by. If you don’t have a web development company in mind, please consider asking us here at Webnovation to take a look for you! We’d be happy to help you get your website optimized in order to have the best chance of success with rich pins and any future SEO or social media campaigns. What do you think of rich pins? Are they useful or just more clutter?